1. This interview thing is a little awkward. What made you think this was a good idea? At least this time, there’s no intimidating tape recorder. And I can skip the hard questions, right? I’ll just exclude them, and no one will be the wiser. We’ll do eight – that’s a significant number for Ella in Black Flowers, White Lies, my young adult thriller (published by Sky Pony Press). 2. Why is the number eight significant? Ella’s father was born on August 8th, and when she was eight years old, she could have died, but didn’t. Soon the evidence points to someone new: Ella herself. What if, like Dad, she’s suffering from a mental breakdown? Ella desperately needs to find answers—no matter how disturbing the truth might be. 3. Why did you become a writer? Growing up, I was an avid reader. There’s a certain joy to losing yourself in a good book. That love of story inspired me to write, because it allows me to recreate that experience for other readers. In college, I double majored in computer science and English, but it wasn’t until after I graduated and left my corporate job that I decided to seriously focus on writing. I transitioned by writing about technology first, followed by more general nonfiction, but creating a novel was always my ultimate goal. 4. 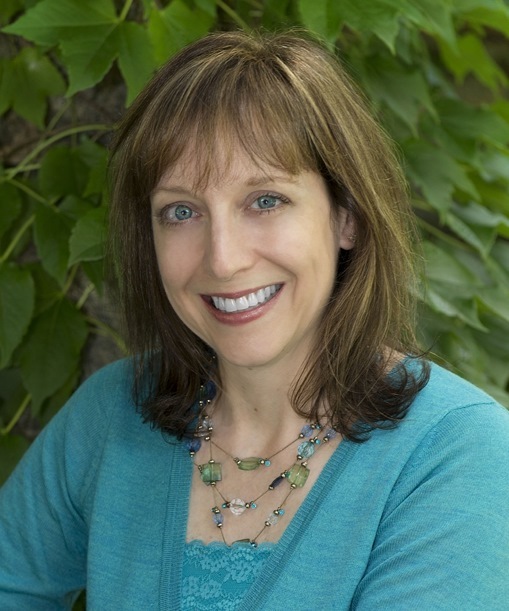 Why write fiction for young adults? It’s an interesting age to write for and about, because the teenage years are filled with both potential and uncertainty. It’s also what I enjoy reading. 5. I’m an adult. Will I like your YA fiction? That depends. 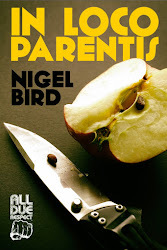 If you enjoy other young adult novels, or you like reading stories set during the main character’s teen years, then it’s more likely you’ll like this story as well. There was an interesting article in The Atlantic in December about the general appeal of young adult novels. 6. 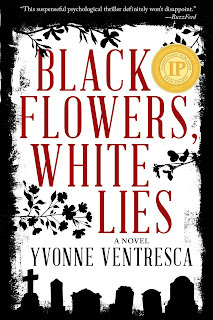 Black Flowers, White Lies is set in Hoboken, NJ. Are all of the places mentioned real? I used to live in Hoboken, and it was fun incorporating real restaurants, landmarks, and trivia into the story. Ella and her family live in the 77 River Street building, and I put her boyfriend in an apartment on Bloomfield. There are also scenes set at Stevens Institute of Technology, The Brass Rail, and the PATH station. By the way, I created a collection of my Hoboken photos on Pinterest which I referred back to as I was writing to remind me of specific setting details. 7. Are there themes that you think are common to all of your work? I’m drawn to the idea of creating scary situations in our ordinary world. 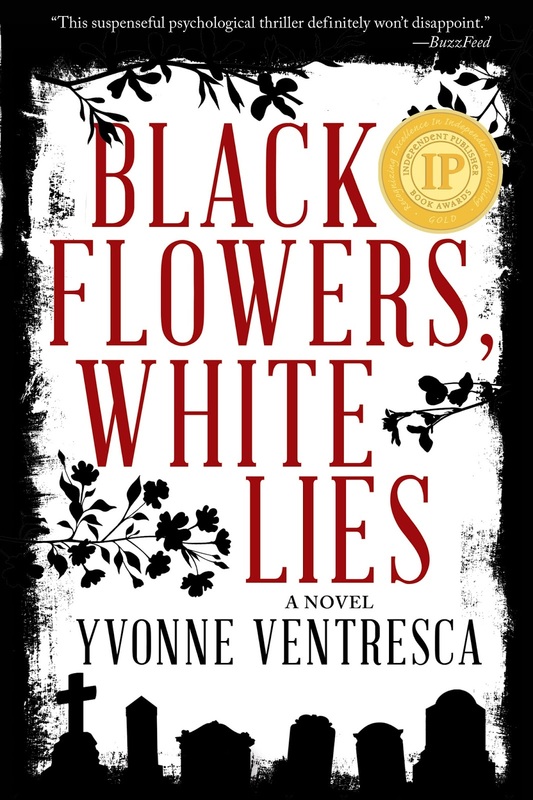 For example, in Black Flowers, White Lies, a series of unsettling events occur during an otherwise normal summer. 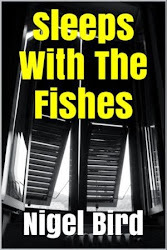 This book also combines the frightening and the ordinary when Ella starts to question her perception of reality. When I wrote Pandemic (about a deadly contagious outbreak), it seemed natural to use the town where I live as the setting, because it underscored the idea that disasters could happen in regular places. I did rename the town in the novel, because it felt like bad karma to unleash deadly bird flu on my neighbors, even fictionally. 8. Last question: Tell us about the Black Flowers, White Lies cover. Did you have any input? 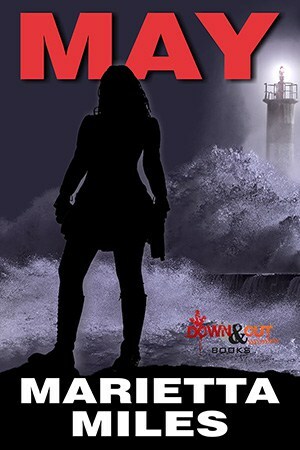 The cover images were inspired by the final book title. (It was originally called In the Dark, but my editor and I realized there were already several books out with that name, so we changed it.) 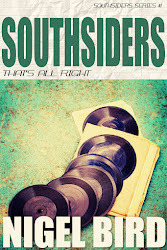 I loved the cover concept, created by Sarah Brody for Sky Pony Press, since its inception. My small bit of input was to suggest more tombstones in the cemetery at the bottom of the cover, since an early version only had one. The paperback cover is essentially the same as the hardcover, with a different blurb and the addition of the award seal (the 2017 Independent Publisher’s Gold Medal for YA fiction) on the front. Excellent! If you’re interested in more information, you can learn about me and my books at YvonneVentresca.com. May is told from two alternating angles. In the first, we get to see her working alone to maintain holiday accommodation and preparing for the arrival of a big storm. She’s independent and isolated and her main social contacts come through the dope dealing that allows her to make ends meet. As the storm approaches and a couple of odd characters are hanging around her flats, we get to see May as a strong survivor who leaves in her wake the sense that she’s vulnerable and brittle. The second strand tells us the story of May’s growing up. We get to watch her trip as she steps across the threshold into the world of the young adult and witness her parents allow her to crash without attempting to break her fall. The cruelty within her family is painfully cold and brutal, the hurt that May feels utterly palpable. These elements fit together nicely as one builds with suspense and the other becomes so raw that it’s unbearable. The history helps to put the older May into perspective and adds to the building desire to see her make it through when the clouds darken, the winds get up and those hungry for her wares tire of sniffing at the door. I really enjoyed this book, particularly in the section dealing with the troubles of her teenage years. The images are vivid and the swirling angst of the isolated adolescent spins hard and fast like the imminent storm itself. 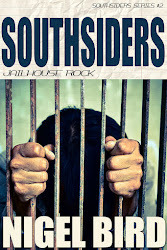 It’s the kind of book that can make you wince and cry and shout out at the injustice of it all. As chapters close and you enter quiet moments of reflection, you can be relieved that this is simply fiction in the way you might experience relief when realising that the nightmare you just had isn’t real after all. If you’re a regular here, it’s likely that May is going to be right up your street. If that's not enough, another reason to recommend the read is that this book left me with the sense that Marietta Miles is going to write something truly amazing in the near future. You want to be on the journey with her when she arrives at the next stop, so get on board now and enjoy the scenery. When a woman takes on the vested interests in politics and football, a city is forced to take sides. 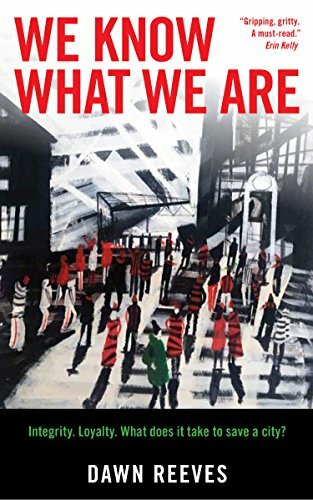 We Know What We Are is a gritty contemporary political thriller, with a strong female protagonist who battles corruption, power and prejudice in a quest for a fairer society. It's set in a Midlands city. A girl searches for her missing brother, a council leader fights to hold on to her principles and a chief executive battles to hold back the tide of cuts. Over them all looms a threatened football club and the sinister shadow of its chairman. As identities shift and allegiances are tested, how much will each of them risk to save the city, the club – and themselves? The novel explores how our sense of ourselves affects our ability to make change, to determine the future for ourselves.